Looking for the perfect trifecta of shopping, spa and splurge-worthy restaurants for your next girlfriend getaway? You’ll find all this and more in Edmonton ~ Canada’s most Northern provincial capital. I went to University in Edmonton, but since I graduated oh-so-many years ago, I haven’t made it back much. There’s a bit of rivalry between my hometown of Calgary and Edmonton, but I’m kicking myself for letting pride get in the way. As I recently rediscovered, Edmonton is cool, like really cool. It’s always been know as an artsy city, but I had no idea how much this extended to their shops and restaurants. Here’s my advice on how to enjoy a hip Edmonton girlfriend getaway. Edmonton has several trendy areas in which you’ll want to flex your credit card. My favorite, Whyte Avenue, lies in the historic Old Strathcona area. Here, you’ll find loads of indy shops, an art-house cinema and more hipsters swigging coffee than at a Modest Mouse concert. Just off downtown, 124 Street is a posh shopping district that boasts an abundance of cafes, galleries and charming boutiques. 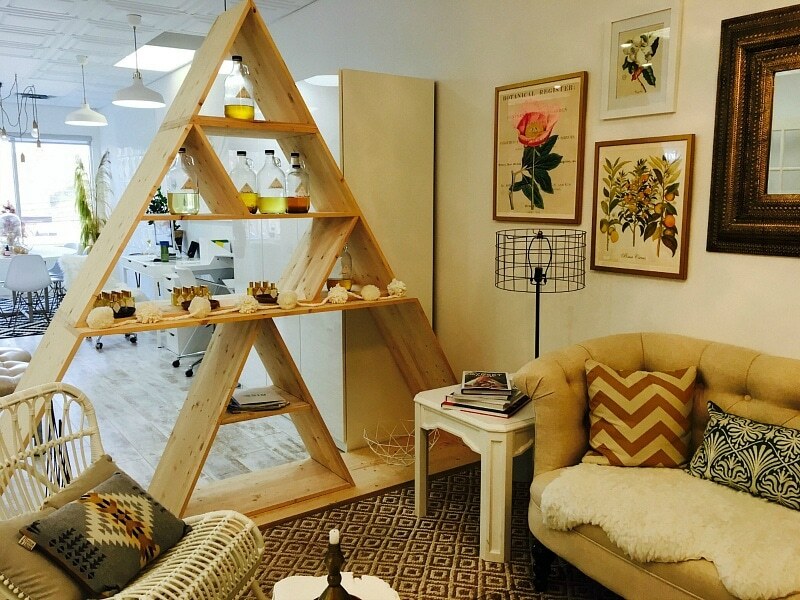 Best of all is Pura Botanicals, where you can make your own custom perfume. I fell in love with their organic baby care line and the Overnight Watermelon Mask – the perfect anti-dote to winter’s harsh climes. They’re only open on Thursdays, though, so plan according or shop online. I’d be remiss if I didn’t mention West Edmonton Mall. You think Mall of America is a big deal? Well, West Ed (as we local’s call it) is North America’s largest shopping mall. You’ll find most everything under its roof, including a skating rink, movie theater and delightful little cafes at which you can rest your weary legs and admire your purchases. If you happen to be towing the tots, check out it’s World Waterpark or Galaxyland, the world’s largest indoor amusement park. If not, you’ll want to avoid these kid-populated zones at all costs. I’m not a huge fry gal, but I was converted at Woodwork. My girlfriend insisted we go here, as it was the site of the best cocktail she’d ever downed (Earl Grey tea, bergamot gin, Gallino, honey grappa and Chartreuse infused milk). The fries have a distinct edge to them from being tossing in smoked butter. Worth. Every. Calorie. The menu isn’t large, so you can order almost everything and share it. Duchess Bake Shop is a destination in itself. Modeled after a Parisian tea salon, this is the spot for ladies who lunch. Their sister restaurant, Cafe Linnea, gets the thumbs up for brunch. Here, the theme is Scandinavia meets France and it works. Dishes are minimalist (without sacrificing portion size) yet savory. 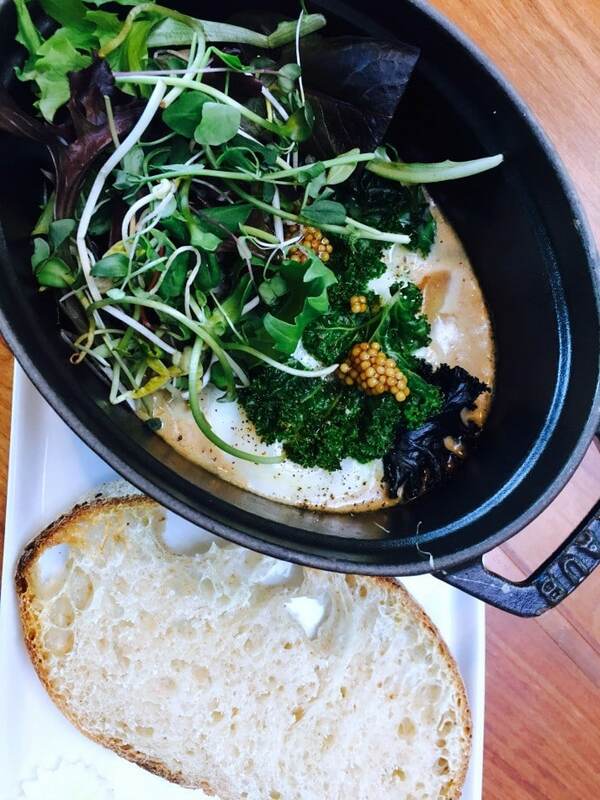 Their oeufs en cocotte was one of the best I’ve had in my life. The most glamorous place to stay on your Edmonton girlfriend getaway is at Fairmont Hotel Macdonald. This swish hotel meets all your needs with a lovely Royal Tea service on weekend afternoons followed by a tour of the historic property (which looks like a castle, by the way). You’ll definitely want to take advance of their full service spa and fitness center, too. For a hearty walk along the river trails, ask to borrow the hotel’s canine ambassador, Smudge (a gorgeous golden labrador retriever. 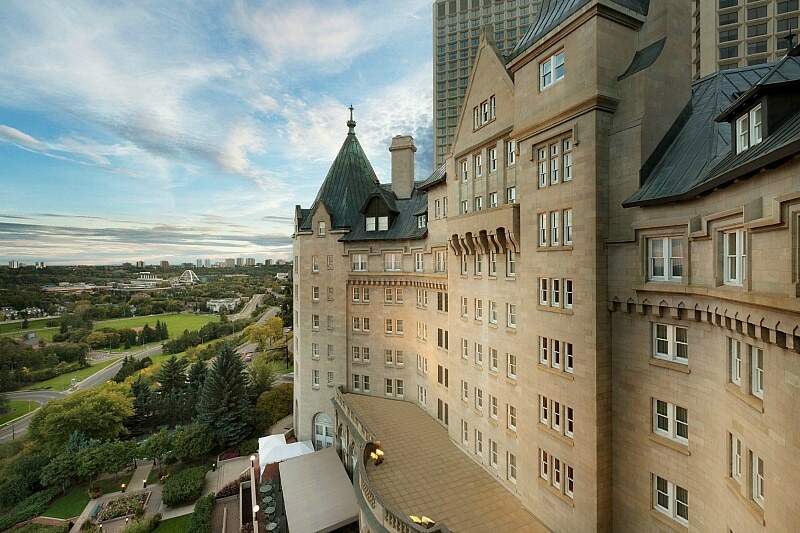 Read reviews of the Fairmont Hotel Macdonald and book your stay on TripAdvisor now. For all my American friends reading, did you know Alberta has no sales tax? Or that your dollar is worth 25% more here? Read more about Edmonton and book your girlfriend getaway with TripAdvisor or use the Booking.com form below! 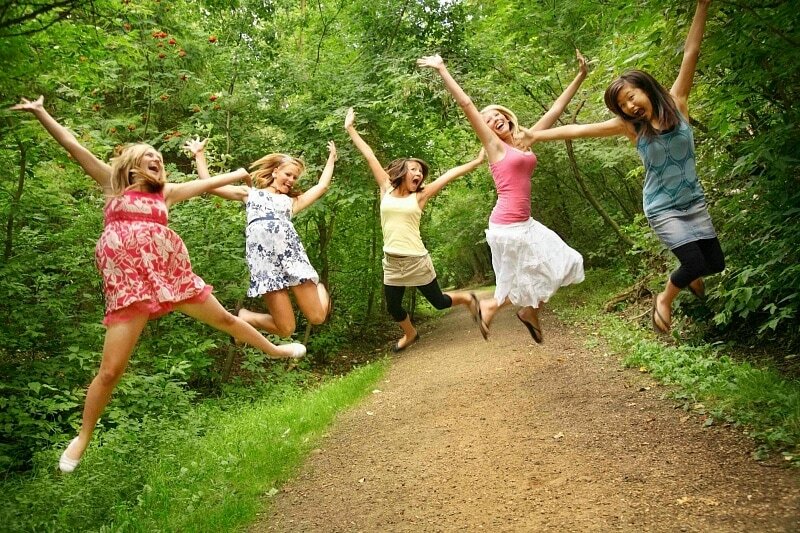 Would you and your besties enjoy an Edmonton girlfriend getaway? Let us know in the comments below! A Note from The Saucy Travel Mama: I paid for all accommodations, meals and entertainment during my Edmonton girlfriend getaway. All opinions are mine, as always. This story includes affiliate links. Your purchases help to keep TravelMamas.com a free resource for readers like you. That sounds like an amazing time. I’ve been all over the word, but for some reason, I’ve never gotten to Canada. I have to get to Edmonton! You need to! It’s so affordable for Americans and just different enough. I’ve never been to Canada, which is weird considering how close I live to it. I really should make that my next trip. Please do! We love American visitors. Wow, it looks like there is a ton to do in Edmonton. I would love to visit the giant mall and get my shop on! It really is. Edmonton is such an under the radar destination. Edmonton looks like a fantastic place to visit. You definitely had me sold with that amazing mall. Edmonton seems like it has some great shopping. Unfortunately it is just a little too far away for me to enjoy it. If I ever get up that way though, I will be sure to check it out. I used to live in Edmonton … awesome that you had a great time enjoying some of my favorite spots! I lived there too in the 90s. It’s much hipper now. I’ve never been in Edmonton, and I really wanted to go in that place. I will check it out about that. Edmonton is on my bucket, I’m really excited and I’ll make sure to shop on Giant mall. These are really great advice! I’ll definitely add this to our list for our next visit to Edmonton! I have heard a lot about Edmonton… Hope it is a good place to visit for girlfriends. Until reading this post I never knew all the gems Edmonton had to offer- looks like a great place to enjoy an amazing girlfriend getaway! Putting it on my must travel to list of attractions! Wow, I need to visit Alberta then! This looks like a fun getaway to do my fav thing–shopping. I don’t think I have ever been to an indoor water park. That sounds awesome! Thanks for writing such an upbeat and positive review of Edmonton! I’ve always loved our city, and am happy to see it finally getting the recognition it deserves. 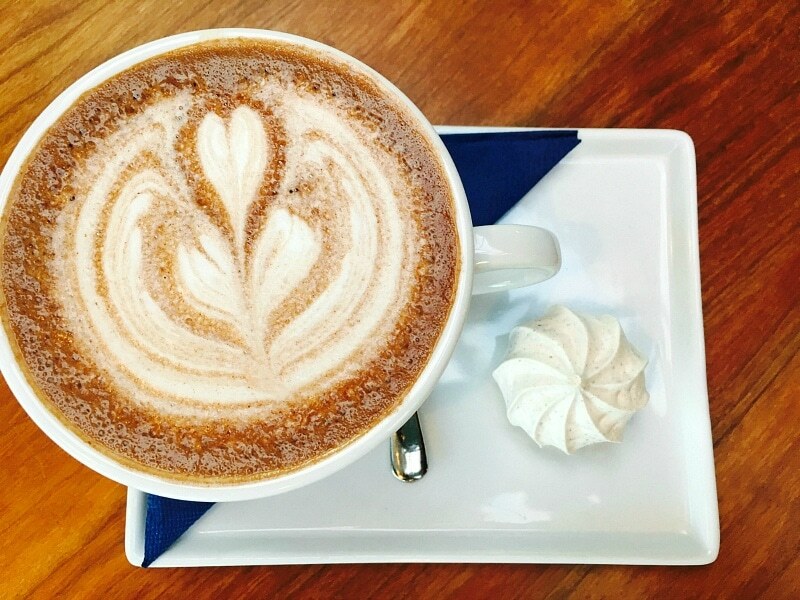 Our river valley is amazing and definitely worth a leisurely meander, with coffee in hand, plus all the boutique stores and eateries mentioned above, add up to a fab place for a girls’ getaway…..yes, come visit our hip city, everyone!